5 minutes into our first meeting, I knew it was the right move bringing together c1films and Bright Start. It is always kind of scary to connect two business contacts and try to facilitate a deal between them. They are both my clients, so if things went south, it could affect my business. But, after 5 minutes I knew that was not going to happen. Frankie Marion of c1films is a master at extracting one’s passions. He could see that both Teri and Beth of Bright Start had a deep passion for what they do. To them, it is nothing, it is just what they do. To the rest of the world, they are special and have dedicated their lives to helping people. We tasked c1films with taking that passion and putting it into a video. 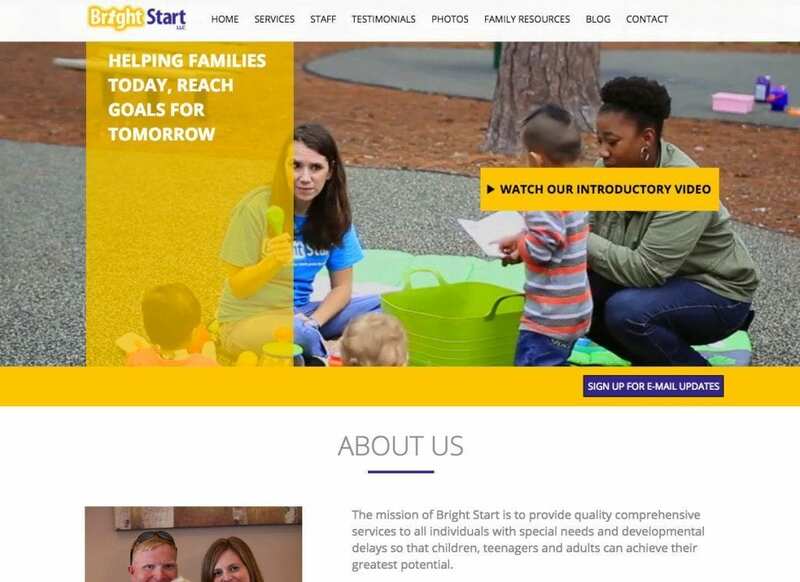 The result is a great introduction video to Bright Start and how they put their families first when providing care. Since c1films vividly captured this passion on film and Bright Start continually delivered helping families, Grover Web Design had to deliver on the web development side! We redesigned the Bright Start homepage to highlight this video, it is a high quality video so we could not sample it down to save space or make it load faster, we had to gut our Revolution Slider homepage and code this by hand. We simplified the experience for users on mobile devices, they see a snapshot of the video and a link to watch it. The cool stuff is on our desktop version, we utilized a video background method that silently shows the video, then the user clicks into the video to watch how much passion Bright Start has for its families!